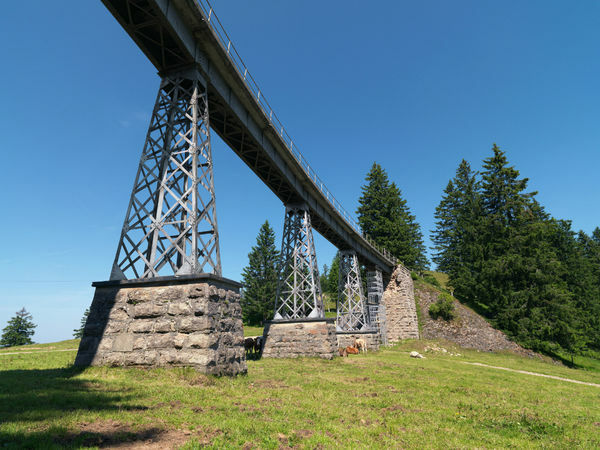 This trail follows the former railway line between Kaltbad and Rigi Scheidegg (1874 – 1931). It's entirely flat except for the very last part, making it the ideal trail for a pleasant stroll. Along the way there are plenty of reminders of the former railway to be discovered, such as old railway bridges and a tunnel. There's even a disused train carriage that has been converted into a holiday home, a water tank for the old steam locomotives as well as several kilometre signs. 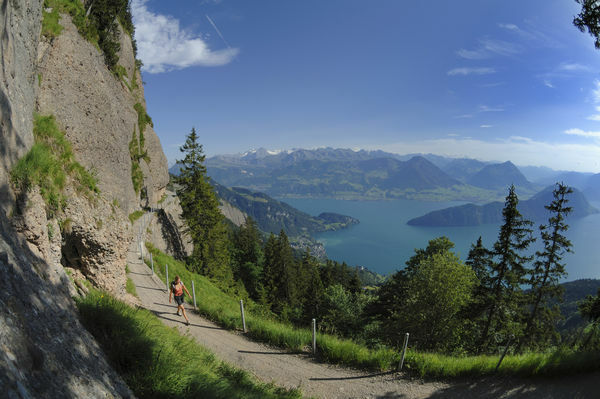 The view of the Alps and the Schwyz basin is divine. 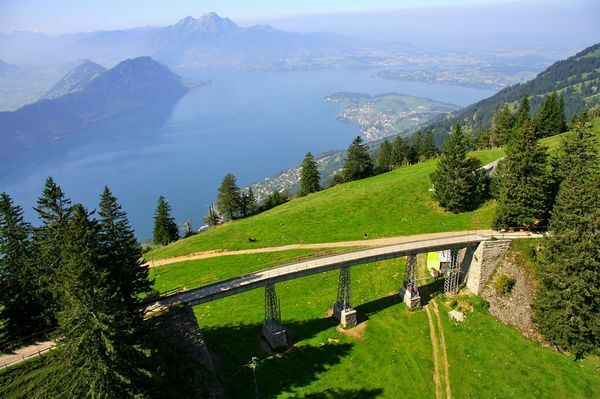 From Rigi Scheidegg you can ride the aerial cable car back down to Goldau via Kräbel.